Emilie Evans (‘19) is in her fourth year with the Shakerite. She is currently Executive Managing Editor and Chairwoman of the Editorial Board, assigning stories to Shakerite staff across the board and managing organizational systems. 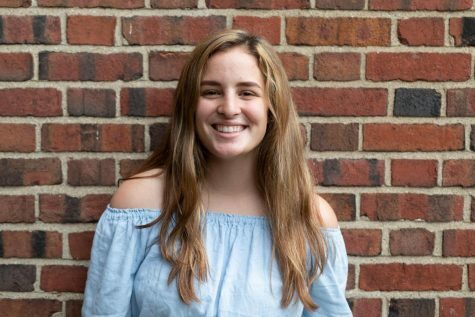 As Opinion Editor junior year, Emilie covered issues such as the end to late start Tuesdays and equity issues that accompany online assignments. As Lifestyle Editor sophomore year, she covered issues such as the downtown Van Aken development and gun control. Emilie participates in soccer, the Student Group On Race Relations and film club, and is vice president of Mock Trial. In her free time, Emilie enjoys screenwriting and listening to music.